The pocket-rocket Abarth 595 has received an update for 2018, with tweaked styling, new colour options, updated trim and a sportier exhaust note. 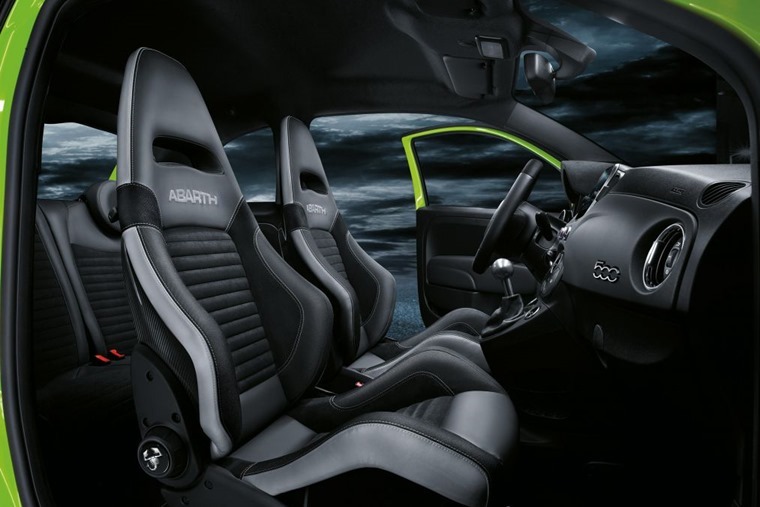 The new Abarth 595 range features four trim levels in a choice of either hatchback or convertible – 595, 595 Trofeo, 595 Turismo and 595 Competizione. On the outside little has changed, but there’s now a larger diffuser at the rear, while you’ll find a wider air scoop in the front bumper. The updated range consists of four trim levels. 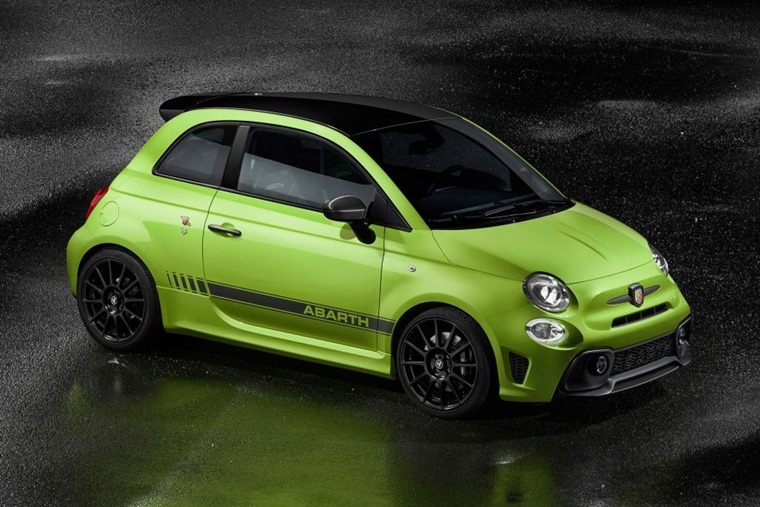 Paint options have been updated too, with Competizione and Trofeo trim levels on the 595 now available in “Adrenalina Green” (pictured) while the 595 Turismo can be specced in Asfalto Grey. 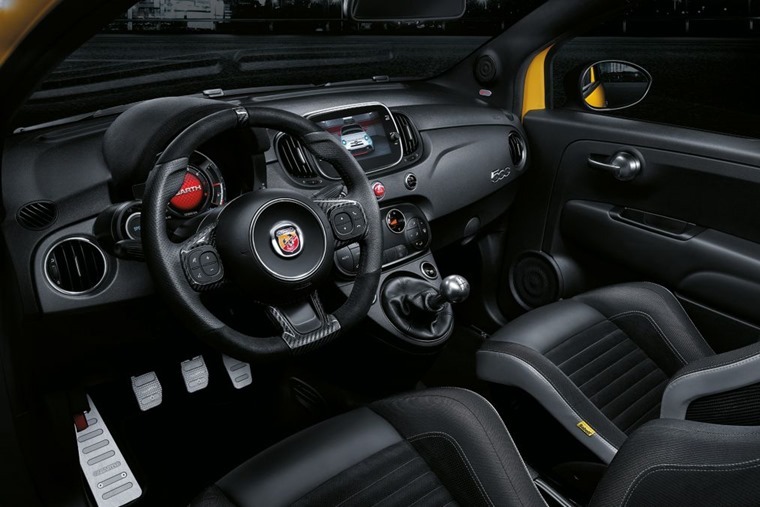 The interior has been tweaked too, and now includes an optional flat-bottomed steering wheel, a white turbo pressure light and the 595 Trofeo benefits from Fiat’s latest 7in touchscreen infotainment system rather than the 5in unit found in the Competizione and Turismo. Mechanically the range goes unchanged, in terms of power output at least: a 1.4-litre turbo petrol is available with 143bhp in the standard 595, 158bhp in the Trofeo, 163bhp in the Turismo and 178bhp in the range-topping Competizione. The 695 Rivale Edition remains available, and brings in a host of premium touches such as wood trim in the cabin and a two-tone paint job. This version also gets the most potent 178bhp engine. The exhaust system has now been tweaked too, with an active valve giving it a raspier tone than before. It’s controlled by the Sport button on the dashboard and is standard on Competizione and Trofeo models. As standard, all variants are paired with a mechanical five-speed gearbox but they can be optionally fitted with an Abarth robotised sequential gearbox with shift paddles. 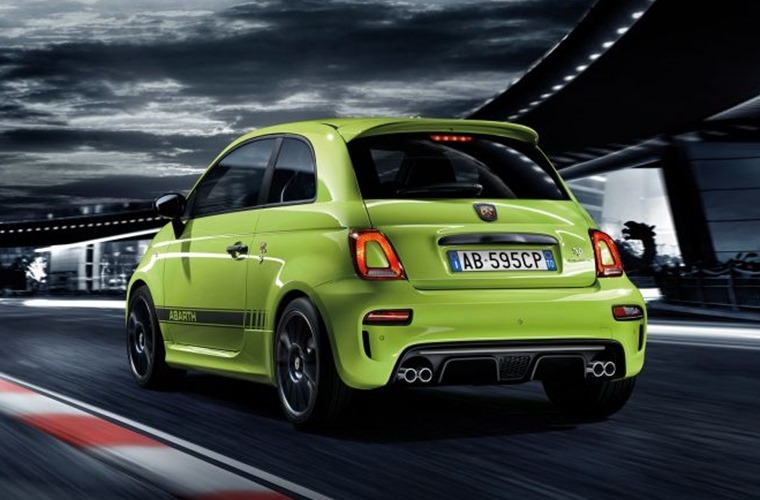 Priced from £15,980 rising to £24,630, the Abarth 595 range is available to order now. You can find lease deals on the 595 range by clicking here.